The Mid-Atlantic's Biggest Rock Festival will feature three days of today's best rock—along with legendary classic artists—playing on four stages, a world-class BBQ village, and top notch camping facilities. Joe Elliott of Def Leppard commented, "There are some amazing acts on Carolina Rebellion; it's a privilege to be part of what's going to be an amazing experience for all involved." M Shadows of Avenged Sevenfold said, "We are losing our minds at the thought of bringing our new music and show to the Carolina Rebellion. The Stage has been set!" 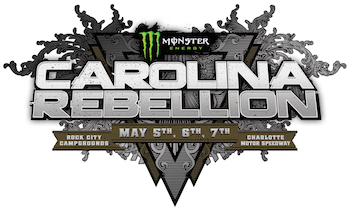 Monster Energy Carolina Rebellion is produced by Danny Wimmer Presents and AEG Live and is part of the World's Loudest Month concert series, which features the biggest names in rock music performing in eight distinct U.S. concert atmospheres in during six consecutive weekends in April, May and June of 2017. Monster Energy Carolina Rebellion is supported by great corporate partners including Monster Energy, Zippo, Pabst, Jack Daniel's and more to be announced.